External uPVC French Doors . uPVC French doors are a matched pair of double doors set within a single frame. The door panels have hinges on the outer vertical sides which allow them to swing open either inwards or outwards. It is this double opening from the centre configuration that is the hallmark, or key feature, of French doors and set them apart from other designs. The side-by-side openers have handles in the centre where they meet, this is also where the main locking mechanism is located. In terms of which side opens first, it’s a personal preference because you can have them fitted left or right handed. What is the difference between a French window and a French door? I suppose the easiest way to separate the two is to simply say that if you “can walk through it” then it’s a French door, if you just “look through it”, then it’s safe to say it’s a French window. In terms of the basic design style and method of opening, French windows and French doors are the same. However, to many people, both mean the same and these days the use of either is usually acceptable. For the purposes of this article, we will be concentrating on uPVC French doors. 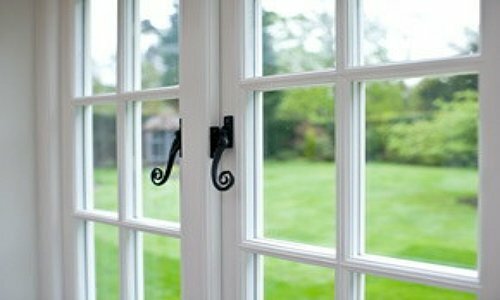 Why choose uPVC French Doors for your home or conservatory? Availability: There are a large number of manufacturer and supply sources, which means you should be able to find the door you want in the design you want without trouble. Having so many suppliers in the market also helps to keep them competitive in terms of price range. 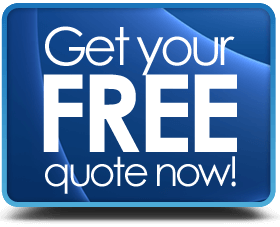 Price bracket: It is quite reasonable to say that you can find uPVC French doors that are less expensive than those made from aluminium or even hardwood. That means you are going to get real value for money. 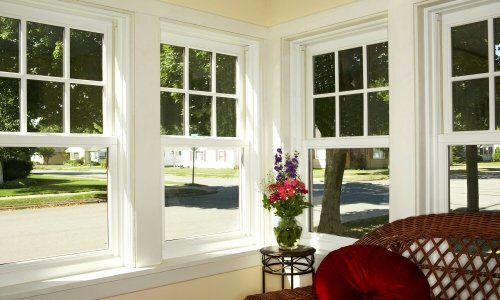 Life span: It’s not a secret that uPVC is very long lasting and durable. You can expect decades of use from your uPVC doors because they don’t bio degrade like timber or corrode like metal (aluminium). Easy to look after: “Soap and water” is really all you need to keep uPVC French doors looking good for years. Just keep them clean and lubricate the moving parts every so often – and that’s it. Appearance: Plain or coloured, smooth or textured – how you want the doors to look is completely up to you, with over 20 different colours or wood-grain surfaces to choose from. Energy saving: That translates into saving money. Contemporary uPVC French doors are built to maximise energy efficiency, with chambered frames and up to 28 mm sealed double gazed units. Boost the efficiency even more by using low-e glazing, Argon gas filled double glazing windows or even triple glazing. What’s not to like about a door design that looks great for years, saves on energy costs, lasts a long time and keeps your home secure? You may see uPVC French doors used internally to separate one room from another, as external patio doors or another favourite use is in a conservatory. 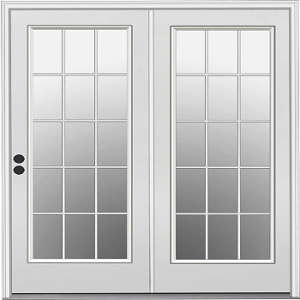 A classic French door will feature small glass panes set within the opening section frame. For a standard width door, you are most likely to see a 3 pane wide x 5 pane high configuration (or up to 8 if you like smaller panes). With a narrower door design (as the image above), you could see a 2 pane wide x 5 pane high configuration. Real, in that they are physical separators. Internal inserts, in that they are not physical separators, but merely a visual effect used between the panes of glass in a double or triple glazed unit. External overlays, in that they are also not physical separators but just fitted on top of both sides of the glass. With physical separators, sometimes called Georgian bars or mullions, you will have lots of individual panes of glass. With inserts, you use just one large glass section and the inserts make it look as if there are a lot of small panes in the window. You can also get examples with or without a centre mullion or bar. This is a centre post in the middle of the frame into which the locks can engage. It can make the door more secure, but does interfere with access (and the view), therefore it is rarely seen these days in modern doors because it would just get in the way. However, you can choose a configuration that best suits the proportion of your aperture and style of your home, or even do away with the smaller panes to have a full length glass door. In terms of the dimensions of a French door, there is going to be a practical “usable” limit on how wide you can make them. and you are probably looking at the smallest being about 900 mm (not including outer frame). Which would mean each opener being 450 mm wide. In terms of the width, you are probably looking at around 2000 mm as a maximum (2 x 1000 mm openers). To cope with apertures that are oversize, it is common practice to use side or top panels to make up the difference in height or width. There is no real restriction on the style, number or sizes of side panels, they could even be part glazed or solid. To not pay attention to energy efficiency these days is to literally throw money away given the ever increasing utilities cost in the UK. In order to get the best performance from your uPVC French doors, you should be considering the following options. Double or triple glazing: Reduces heat transfer and keeps the noise down. Triple glazing should perform the best, but the additional cost may not be justified in some cases. Gas filled sealed double glazed units: Filling the gap with an inert gas such as Argon can further improve energy efficiency. Low emissivity glass: Low-e glazing has a microscopically thin metal oxide coating which has a major effect on the capability of the unit to manage heat or cold transfer. Warm edge spacers: These are the dividers that keep the panes separated in a double or triple glazed window unit. Specifically designed to reduce heat or cold transfer. Trickle vents: They allow controlled ventilation to combat condensation in well insulated homes. It might sound counter-intuitive, but allowing controlled ventilation helps with overall energy efficiency. You may, or may not, be aware that home improvements such as these come with an energy efficiency rating label called a WER (Window Energy Rating). 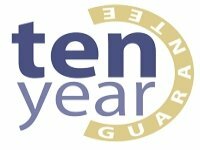 The rating from the BFRC (British Fenestration Rating Council) is alphabetical and colour coded. A, or even A+, is the top rated with G being the worst rated. 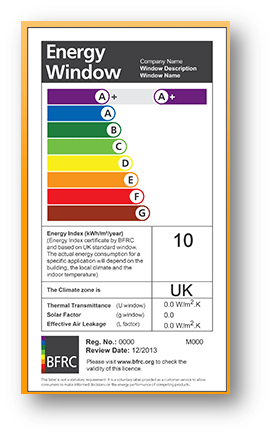 There are also ratings available from the Thermal Rating Register and the British Standards Institution. The “rainbow colour” coding ranges from purple (A+) to brown (G). The minimum requirement to meet UK building regulations is C (there are some exceptions for special situations). This WER is important, not only for your own information, but it goes towards the EPC (Energy Performance Certificate) for your whole home – if you buy, sell or rent a home in the UK, it must have an EPC. Keeping your home secure is clearly important and there are several features on modern French doors that will help. Multi-point locks: This type of feature engages several “hooks” into the main door frame. A “must-have”. Internal glazing beads: The window beads are the small strips that hold the glazing into place. Putting them on the inside stops intruders from removing them and taking the window out of the frame. 3 & 5 Lever cylinder locks: Fitting a high quality cylinder lock is your 1st line of defence. Pick proof, snap & bump proof, drill proof. Toughened or Laminated Glass: Any glass which reaches floor level should be tempered safety glass. Laminated glazing adds even more security. How many doors you buy – the bigger the order, the lower the price per door should be. 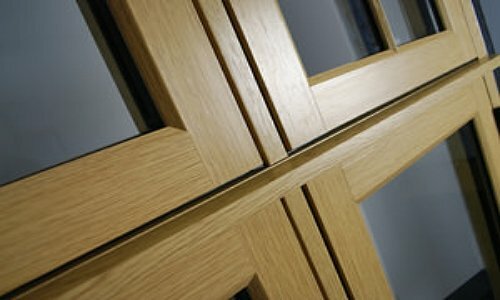 What the door frames are made from – timber, aluminium and uPVC have different cost bands. Energy efficiency – Higher rated units will cost more than units with lower efficiency grades. Personalisation – having special colours or wood-grains for uPVC or aluminium doors. Possible extra sections on side panels. Labour cost – very variable across the country. A fitting team of 2 persons could cost about £250 to £300 per day, and a standard installation can be done in a day. Can I have coloured uPVC French doors? Yes you can. There are at least a dozen single colour options, then you have wood-grain effect in different colours to add to that. Also you could have different colours inside and out. Can I have them in my bay window? Yes you can. French windows are just as versatile any any other windows design and can easily be used for a bay or bow window. Are French doorss less secure than other styles? Not if you have multi-point locks. Modern French windows and doors have just as much focus on home security as any other type of window or door. Is there such a thing as sliding French doors?